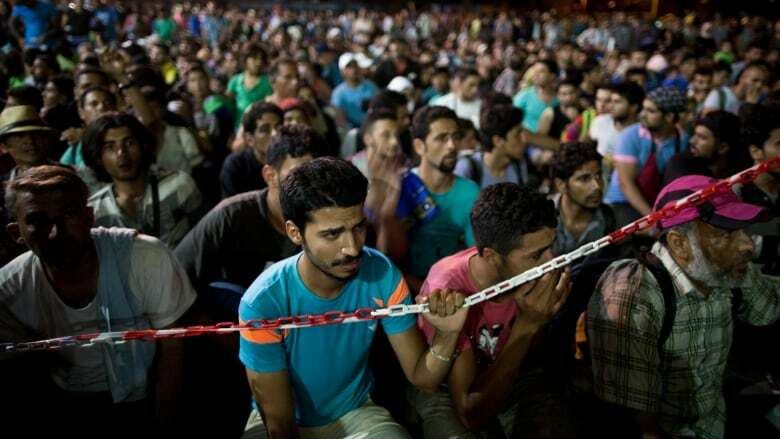 Syrian refugee crisis: what's next? This week on The House, the Minister of Defence and Conservative candidate in Calgary Midnapore, Jason Kenney, talks about the shift in approach to the Syrian refugee crisis. Then, Janice Mackinnon, former NDP Finance Minister in Saskatchewan, and Bob Rae, former interim leader of the Liberal Party of Canada, former NDP Premier of Ontario, discuss the Orange-Red battle front of this election campaign. Stephen Harper has telegraphed it already. After days of intense pressure, the Conservatives are about to announce changes to their Syrian refugee policy. But what will those changes be? Jason Kenney, the Minister of Defence and Conservative candidate in Calgary Midnapore, joins us to discuss what comes next. Then, Ron Atkey, who was the Immigration Minister in Joe Clark's Progressive Conservative government from 1979-1980, and one of the key figures behind the effort to bring 60,000 Vietnamese refugees to Canada, talks about lessons learned, and his take on Canada's current response to the Syrian refugee crisis. Unlike the three main party leaders, Green Party Leader Elizabeth May isn't auditioning for the role of Prime Minister. Rather, May wants to be the conscience of the next Parliament — if it ends up being a minority Parliament. It's with that in mind that Elizabeth May became the first leader to present a fully costed platform this week. She joins us. It's turned into one of the defining battles of this election campaign. Halfway in, the NDP and the Liberals are in the thick of an epic showdown, both vying to win the "change" vote. The two parties that would appear — on the surface — to be most likely to collaborate in a minority Parliament, are now directly fighting each other for the top spot. Janice Mackinnon, former NDP Finance Minister in Saskatchewan and Bob Rae, former interim leader of the Liberal Party of Canada, former NDP Premier of Ontario, join us to discuss this unlikely dynamic. Our CBC polls analyst Éric Grenier is here to provide a mid-campaign look at the polls, and the big picture they're painting of the race so far. Finally, In House panelists Rosemary Barton and Andrew Coyne look at campaign dysfunction, the trouble with troubled candidates, and set the stage for next week's leaders debate on the economy.